Central bank collateral frameworks are an often overlooked feature of monetary policy that play a key role in the monetary and financial system. Readers will discover how central banks conduct and implement monetary policy beyond merely setting interest rates, and develop their understanding as to how collateral policies may affect financial markets, financial stability, and the real economy. This book studies the collateral framework in the euro area in detail, and levers this analysis to provide an account of the euro crisis from the perspective of collateral policy. Readers gain access to a wealth of institutional and economic data and information with a level of density and accessibility unavailable elsewhere. 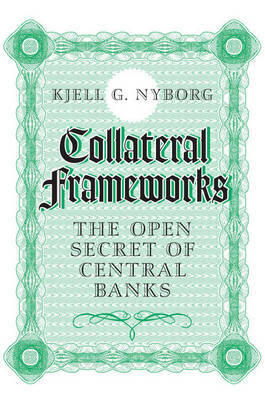 This book, the first of its kind, is a valuable read for academic monetary and financial economists, those working in banking and policy-making financial institutions, and anyone who wishes to learn more about the role of central banks in society.